No team in the NBA is more clandestine and less forthcoming about injuries than the Philadelphia 76ers. Whether they want to protect their player, protect themselves, protect their embattled medical staff, the team brass is willing to go to the ends of the earth to give the public as little as possible when it comes to injuries. One day they’re publicly saying Joel Embiid’s knee is fine, the next day he’s being shut down for the rest of the season with a major knee injury. It’s led to mistrust on the media and fans’ part and rampant speculation with their most controversial draft choice in the franchise’s history. And, as the team has found out, a willingness of the fans to dig and investigate every last lead when it comes to their team. If you’re hiding something, if something is being kept under wraps, you know this fan base is going to find it eventually. Just ask Bryan Colangelo. Just ask Barbara Bottini. The fans brought down the 76ers GM, for christ sake, it can bring down the weasely front office if there’s something there. Here it is, 76ers. The time is now. Transparency is key to salvage any of this and to salvage the season. Do you want this hanging over every game? Every press release put out by the Fultz camp? More importantly, do you want reporters asking Jimmy Butler about Fultz? About what’s going on? I’ll answer for you. You do not. You want people buying tickets to see one of the most talented Sixers squads to hit the floor since the Iverson years. 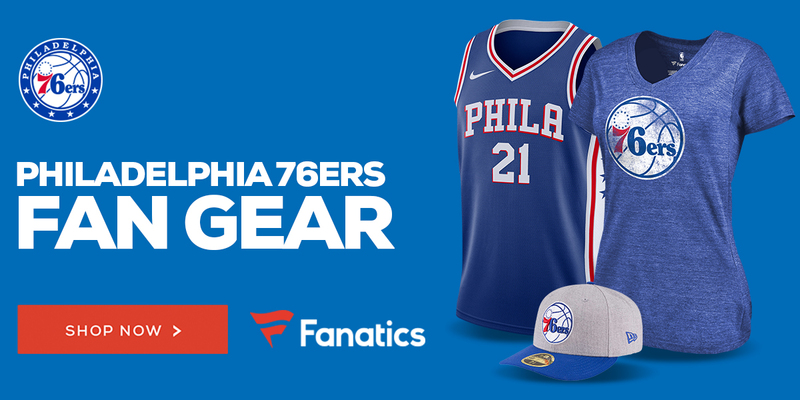 You want people buying 76ers merchandise. You do not want them going down shadowy, forgotten corners on social media and digging into your dirt. That’s just bad for business. Ask Bryan how he feels about it. I attended Monday’s game vs Suns. Markelle passed up open 10′ shot in lane & crowd gasped. Brown pulled him immediately, inserted TJ who got a standing ‘O’. Richaun Holmes looked good as backup at center & Mikhail Bridges was smooth. Wish they were still Sixers. I’m not too worried about Mikal Bridges not being on the 76ers, but losing Richaun was always a bit of a gamble.